Anthony E. Core is the senior member of the firm, which he founded in 1994. Mr. Core practices primarily in the areas of municipal, environmental, banking and commercial law, including corporate litigation and real estate law. Mr. 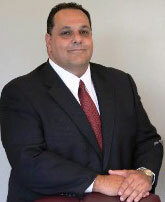 Core is an expert in the environmental industry, has served on the steering committee of the National Solid Waste Management Association, and is a former member of the Town of Babylon Sanitation Commission. He has been a speaker on legal and environmental issues at the invitation of various national law firms and management associations. Mr. Core is a member of the Nassau County Bar Association, the New York State Bar Association, the Association of Trial Lawyers of America and was a Master and Program Director of the Theodore Roosevelt American Inn of Court. He has clerked in the Office of the New York State Attorney General and for the Hon. Stanley Harwood, Judge of the New York Appellate Division, Second Department. Mr. Core is a graduate of Hofstra University School of Law (J.D. 1989), and Cornell University's School of Industrial and Labor Relations (B.S. 1986). He is admitted to practice in the State Courts of New York, the Eastern and Southern District Courts of New York, the United States Second Circuit Court of Appeals, and the United States Supreme Court.